We mentioned a while back that Windian Records out in DC had a lot of sick stuff lined up for this Spring – and one of the things in the batch we’re most excited about is a reissue of The Testors’ 1979 classic Together/Time Is Mine 7″ which drops this Record Store Day. You can check out a track from it below. 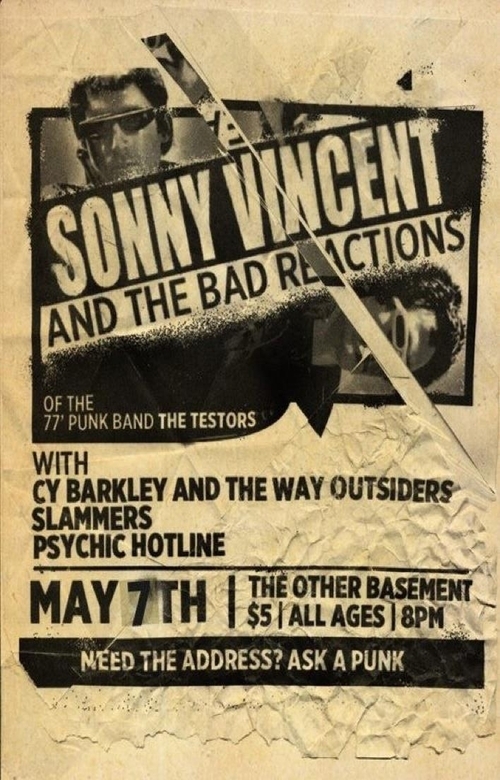 We also just got word that Sonny Vincent of Testors fame will be touring all over this May with his new band – Sonny Vincent and The Bad Reactions [featuring members of Carbonas – Ex Humans – Beat Beat Beat – and Sorrows] And, lucky for us, it’s bringing them through Nashville. They’ll be hitting The Other Basement on May 7th alongside Slammers, Cy Barkley & The Way Outsiders, and Psychic Hotline. Definitely a party you’ll want to find yourself at. 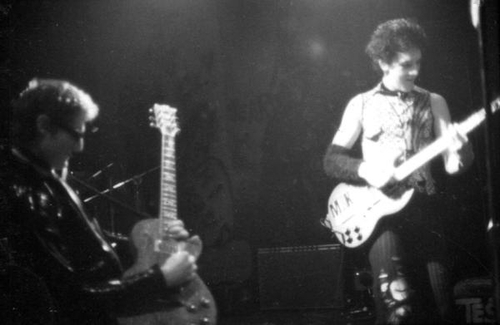 SV and The Bad Reactions will play a combination of classic Testors material along with some of Sonny’s solo stuff. Check out all the dates after the click down there, and get ready to punk out… Sick poster courtesy of Mr. Josh Shearon.